Rice is one of the oldest foods known since about 5000 BC. In China, they held annual ceremonies for rice since about 2300 BC. It is believed that rice comes from India and Thailand. Rice is made popular in the West by researchers, soldiers and merchants who carried it there. It has thrived in many climates, where it requires a large amount of rainfall immediately after planting i, followed by hot, sunny weather. Climate favorable for growing rice is found in South Carolina and Arkansas, currently one of the largest producers. Rice is also grown in some parts of Italy and Spain. Many cultures treated rice in a special way. In Japan and Indonesia, it has its own God. The Chinese devote a full day of their Christmas celebrations to the rice harvest. In some Asian cultures, it is considered that it is a link between heaven and earth. In India, it is believed that rice is important got fertility and hence the tradition of throwing rice at weddings originated. 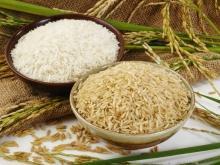 Rice is usually distinguished by the length of the grain, veing long, medium or short. 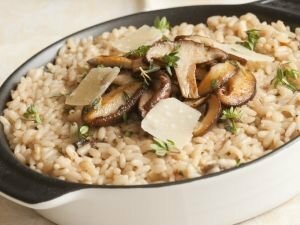 Long grain rice creates a light and fluffy texture, because the grains do not stick together. 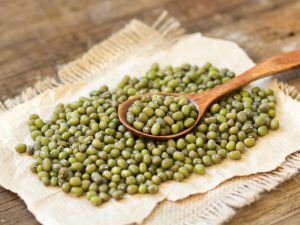 This type is often used in dishes like pilaf and is grown in Arkansas, Mississippi, Missouri, Louisiana and Texas in the United States, as well as Thailand, Italy, Spain and Suriname. Rice is a good source of fiber, which are essential for the good health of your intestines. Rice is also rich in carbohydrates and generally has less fat. It also contains vitamin C, potassium and phosphorus. Both white and brown rice are equally useful. A cup of white rice contains approximately the same amount of calories as brown, but has far less fat (0.8 grams of white rice to 2, 4 grams of brown). 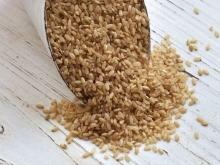 On the other hand, brown rice is much higher in fiber (2.8 grams dietary fiber in brown against the white 0.6 g). Most other nutritional values were similar in both strains. Storage of rice at home should be done in boxes and bags, placed in a cool, ventilated and dry place. 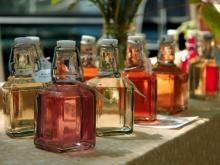 It has the ability to absorb odors, so do not to keep products that can change its flavor close to it. The durability of rice in the above conditions is one year. Well cooked rice can be stored in a closed container in the refrigerator for up to one week. When choosing rice, consider its consistency - the package should not have sticky grains due to mold or mildew. The price of different types of rice vary, the most expensive is the fine white rice. You can now find specific types of rice, such as the sushi or paella ones, intended only to prepare these dishes. Medium grain rice sticks together more in cooking and therefore is used for dishes like risotto or paella and some desserts. It is grown in many of the same places as the long grain variety but also in Australia. Short grain rice is almost round in shape and is used in many Oriental and Caribbean dishes. 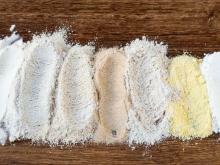 It is especially popular for use in Japanese sushi, as it sticks together quite easily. 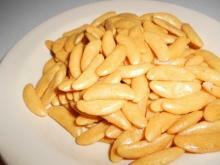 This variety is used in desserts and is very popular in most Asian countries. Processed rice is the most popular variety in many Western countries. The process is related to the fact that it is steamed under pressure before being processed. This makes a solid grain which helps prevent over-cooking. 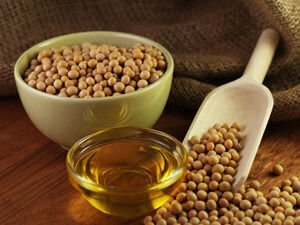 This process also helps to keep some important vitamins and minerals contained therein. Instant rice is pre-cooked, dehydrated and packaged. The dehydration process removes much of the flavor of the rice. Basmati rice - grown in the foothills of the Himalayan mountains of India and Pakistan. It can be both white and brown. 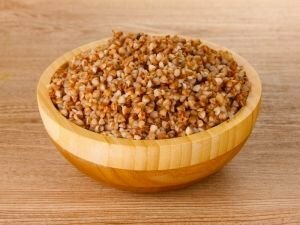 Its grains do not stick together when cooked. Jasmine rice - it is slightly thinner than Basmati rice, grown in Thailand. It is long grain rice and its grains stick during cooking. Texmati Rice - This is a hybrid cross between basmati and long grain white rice. It is not as pungent as basmati and is light and fluffy when cooked. Wehani rice - brown rice from the same family as basmati. When cooked, it looks like wild rice. Rice is cooked by boiling or steaming, and in the process, absorbs large amounts of cooking water. 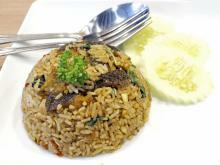 Sometimes prior to cooking, fry the rice for a while, so it becomes a little sticky. Rice has been a staple ingredient of many soups, dishes with vegetables and meat, sushi and many others. 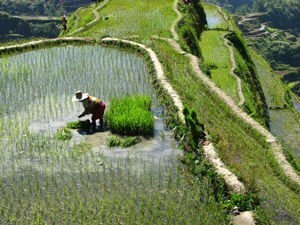 In Asian countries, the cultivation and eating of rice is an integral part of life and culture. In many countries, even some of the traditional dishes are based precisely on rice. These are the well known paella in Spain or stuffed peppers and cabbage, that would have been unthinkable without the delicious grains. Rice is very popular for the preparation of various desserts. It tastes great with honey, sugar and milk. Boil /so that the grains break up/ and the rice becomes like a cereal. Rice is a component of various puddings, cakes, creams. Milk and rice is only popular and is a traditional dessert in Turkey, in which it is known as Sutlyash. 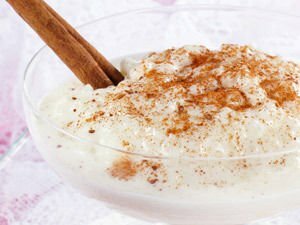 Use rice in desserts, you can add raisins and various other types of dried fruits and spices, such as the fragrant cinnamon. Pumpkin and rice pudding is incredibly delicious. Regular consumption of rice prevents the development of chronic diseases, and also improves your appearance. Rice contains amino acids that contribute to the formation of new cells. It works well on the stomach and intestines, rice brew stops diarrhea and when boiled in milk, it helps in cleansing the intestines. 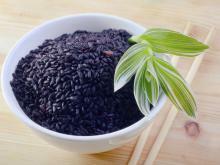 Rice has a beneficial effect on the nervous system. 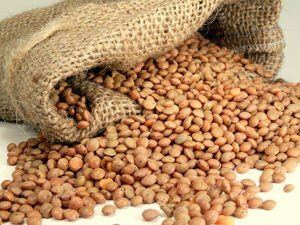 It is useful in diseases of the bladder and kidneys, and after an illness that helps strengthen appetite. The high content of vitamin B in rice is important for the healthy appearance of our skin, hair and nails. 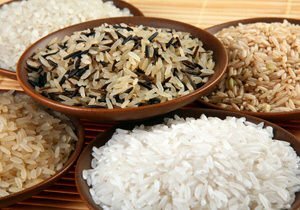 Regular consumption of rice dishes has a beneficial influence on our overall health, of course, if you do not overdo the quantities. 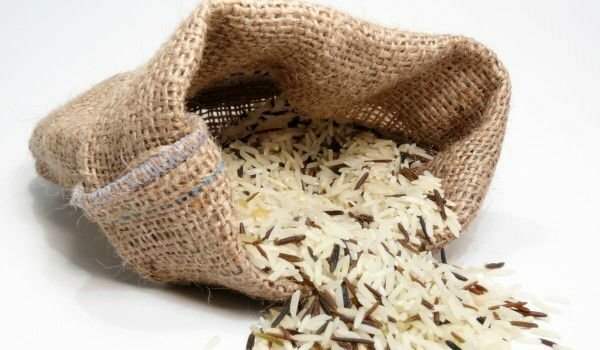 A potion of rice is recommended for bronchitis and bronchial asthma. 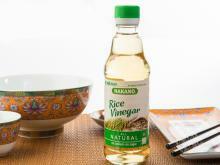 If rice is brewed and you add a little mint, you will receive an excellent remedy for colds, flu and pneumonia. After sickness when our body is debilitated, the supply of rice is an excellent way to restore ourselves. 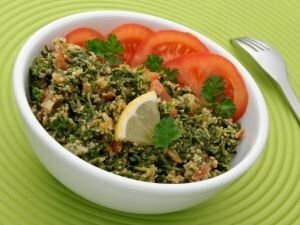 There are a lot of diets for weight loss and diets with rice. One of them is the purification of the body with rice as the course lasts two weeks and you need as many spoons of rice, as dictated by your age. Pour the rice in the pot, pour in water and store in refrigerator. Every morning, consume 1 tablespoon of rice, pre-cooked in water.